A CMMS compliant online rental software help industries plan and schedule equipment and workforce to enhance general plant efficiency and reduce downtime. It has the capacity to track service and maintenance activities – giving evidence to quality reviewers that essential upkeep on basic handling parts was performed appropriately, on time and with the coveted outcomes. This blog explains how to use the Advanced Service and Maintenance feature in EZRentOut using features like Recurring Services and Service Triage. You can use these features to add value to the basic Services and Maintenance workflow. You can set recurring services on groups and subgroups using EZRentOut, defining how often you want services to repeat, and establishing start and end dates for effortless maintenance management. To enable this feature, go to Settings → Add Ons → Advanced Service and Maintenance, and enable Recurring Services. Prerequisite for adding a recurring service includes having a group defined consists list of assets that require recurring maintenance. This empowers preventive maintenance within your organization that enables you to lessen the likelihood of an equipment failure. Useful in cases where warranty renewals and regular equipment maintenance is crucial. Associating Items to a Group: Define a set of items that require recurring maintenance tracking e.g. heavy construction servicing (group) or construction site accessories (subgroup). 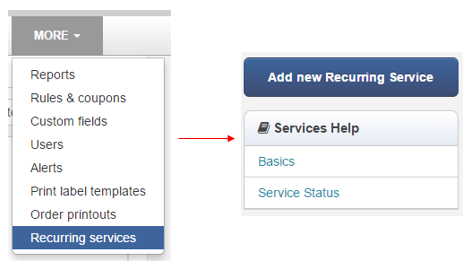 Creating new recurring service: Go to More → Recurring Services → Click ‘Add new recurring service’. This page requires a title, component (a group or subgroups of assets that require recurring maintenance), repetition starting and ending date, and recurring cycle e.g. repeat every ‘6 months’. Define repetition criteria: Decide how often the maintenance event will be repeated, and add a start and end date. Get insights on your service and maintenance events from Reports. You can find valuable data on recurring maintenance when ‘advanced service and maintenance’ is enabled from Settings → Add Ons. Unlike traditional software that requires you to download and install updates yourself causing time delays, EZRentOut Computerized Maintenance Management System is updated automatically. Each time you securely log into our CMMS compliant online rental software you’re always using the latest and greatest version. Keep your rental equipment in great working conditions and conduct timely maintenance with CMMS compliant EZRentOut software. It is the leading equipment rental software used by a diverse set of rental businesses worldwide. For more assistance, drop us an email at support@ezrentout.com. You can also share your ideas on our Community Forum regarding our online rental software. This entry was posted in [Support], CMMS, Feature, Help Topics, productivity and tagged maintenance, recurring maintenance, service and maintenance by admin. Bookmark the permalink.